Yala Peak comprises three things together: driving through panoramic landscape from Kathmandu to Syabrubenshi, 8 hrs by bus, trekking through peaceful oak, rhododendron, hemlock, and larch forests and meadows, the easy climbing to Yala peak from where one can have grandeur view of mountains. 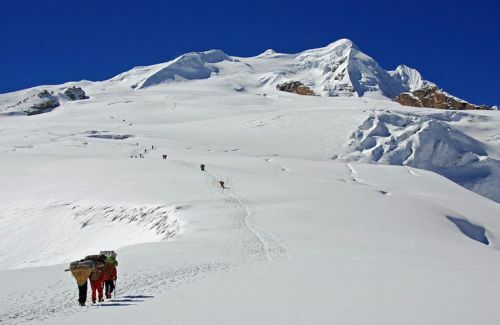 Yala peak lies in the central north part of Nepal Himalayas and trekking north of Kathmandu is less crowded and accessible of all the trekking regions. 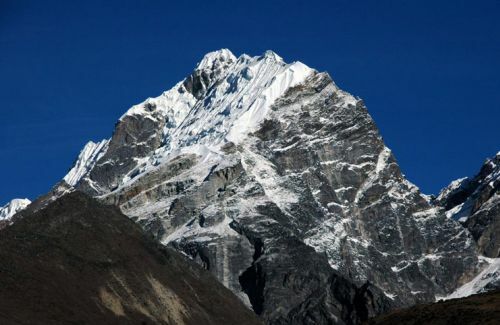 Yala Peak is in the Langtang region which is well suited to one or two week’s itineraries. Yala Peak Climbing is less technical and very popular trekking that anyone who simply has trekking experience can do it easily. 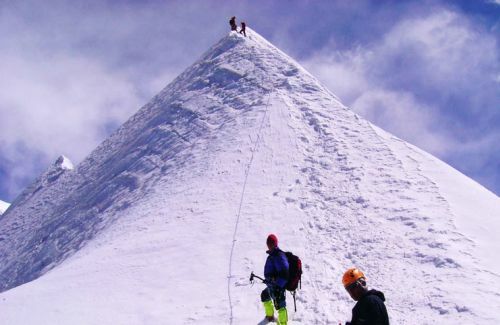 It is not necessary to have mountaineering experience. We can begin trekking either from Dhunche or Syabrubenshi. If we start from Dhunche, we reach to Lama Hotel via Thulo Syabru. Langtang Valley lies tantalizingly close to Tibet border, running east west. It is three days trekking to reach to Kyangjing Gompa (3749 m), situated below Langtang Lirung. Kyangjing is a charming valley with small monastery, a cheese factory established in 1955 by Swiss Association for Technical Assistance and an attractive chalet lodges. We stay in Kyangjing for 3 days to acclimatize and do three days worthwhile excursions. 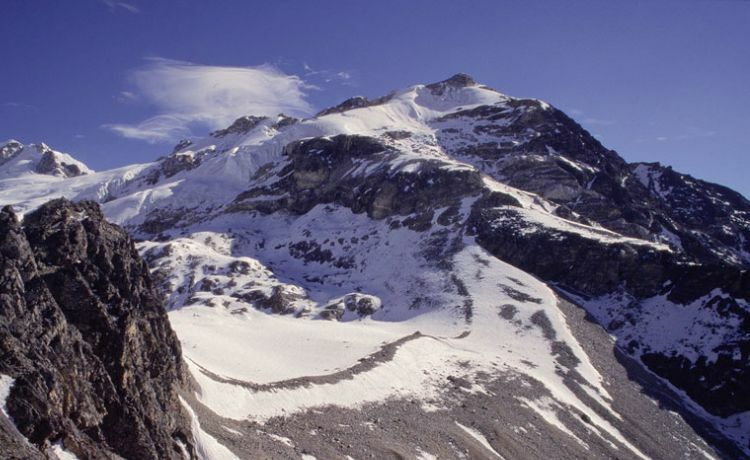 There are many possibilities for short climbs, mostly to the north. A small summit with outstanding views can be reached from the factory. We can visit Tsergo Ri. From Kynagjing, we can head up the valley to Langsisa, the next to the last of the summer pasturing settlements. We set a tented camp as our Base Camp on meadows at 4800 m. The last 700 m is on ice so we use crampons, ice axe and rope. The climbing is of great fun and adventure in simpler way. To go to Yala, we head east from Kyangjing, and after about ten minutes, contour the hillside to the north, reaching a few temporary settlements in an hour. After another one and half an hour, we reach to the ridge (4389 m). We climb north beside a small stream to reach the Tsergo Ri. 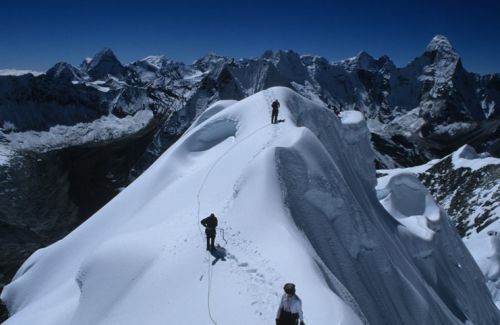 We can circle the hill and reach to the prayer flag festooned summit (4984 m). 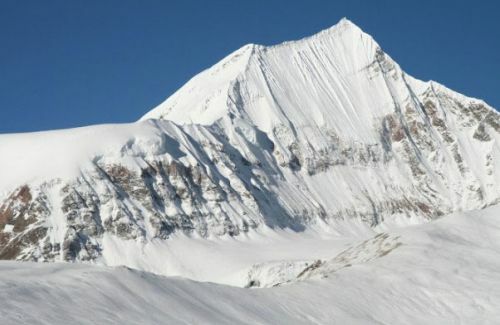 From the summit, we can see Shishapangma (8046 m) in the Tibet side, the fluted Gangchempo (6388 m), Dorje Lakpa (6990 m). The surrounding peaks are quite spectacular.